Summer is right around the corner! In fact, with the beautiful weather we’ve had it already feels like Summer! During Summer vacation I’m always looking for activities to do with the family that don’t break the bank. I love family outings and exploring our city, but the reality is; it isn’t always affordable to venture out everyday spending money on admission to the great places our city has to offer. For this reason, I was SO ecstatic when I found out about Kidsworld-two months of scheduled activities to do with your family for a very reasonable price! 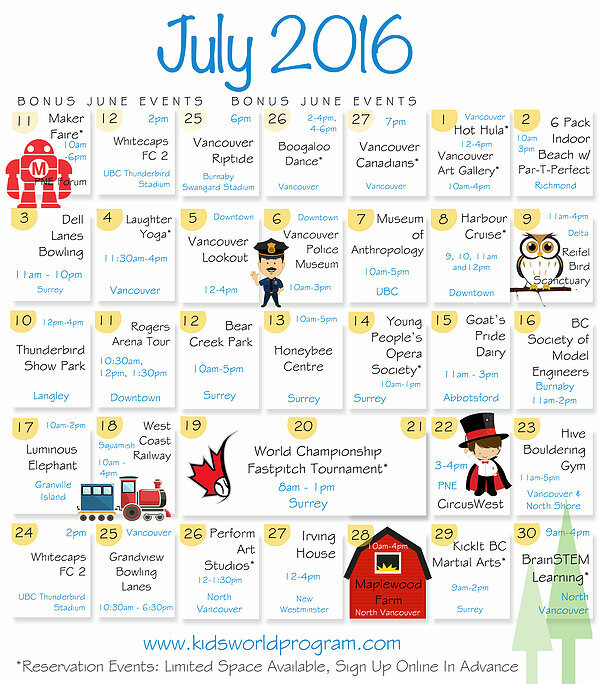 *Kidsworld provides a calendar of events for families to enjoy fun, athletic, and educational experiences all summer, and now all year as well! 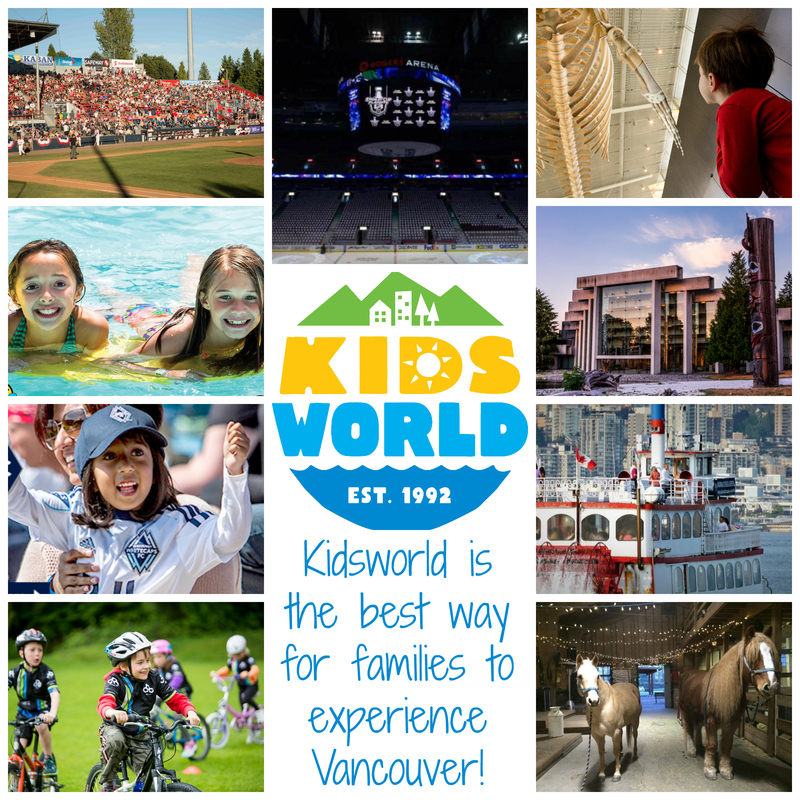 A membership is for kids aged 4-13, along with one accompanying adult, to enjoy countless events and activities in Greater Vancouver – with no additional cost – plus bonus discounts! Entrance into the Museum of Anthropology, Vancouver Art Gallery, Vancouver Lookout, Bill Reid Gallery, Vancouver Police Museum and more! 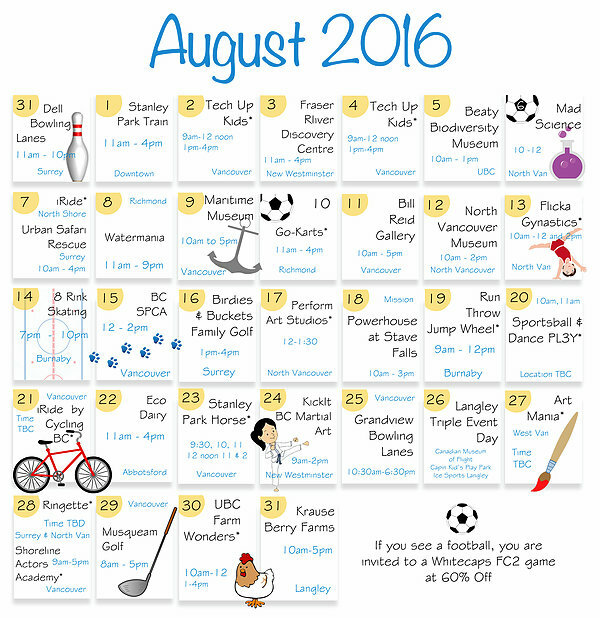 Fantastic Summer Fun for All! Say hello on Social Media & stay updated with their events.